In 2004, Director Terry Dvorak held auditions for Rats! the Musical, the very first Children's Theater production at VACT. The show was performed in May 2005 with a cast of 30 children. In 2018, Directors Kendra Johnson, Dee Baldock, Terry Dvorak, and Alyssa Dvorak held auditions for Three Nanny Goats Gruff, The Aristocats KIDS, 42nd Street YPE, and Newsies. The shows were performed in April 2019 with a combined cast total of 364 children and teens between the ages of 5-18. VACT has the largest youth program, offering 3-5 times more annual performance opportunities than any other arts group in this area. Over 350 youth members, grades 5-12, participate each season. Over 30 different schools across nine communities are represented. The program provides a strong sense of community and a memorable set of experiences that enable children to improve their self-confidence, discipline, and abilities to work as a team. Parents and teachers notice changes in the work and study habits of kids that participate in VACT productions both at home and in school. To research upcoming auditions for children CLICK HERE. VACT also offers youth-oriented camps and classes. For information CLICK HERE. 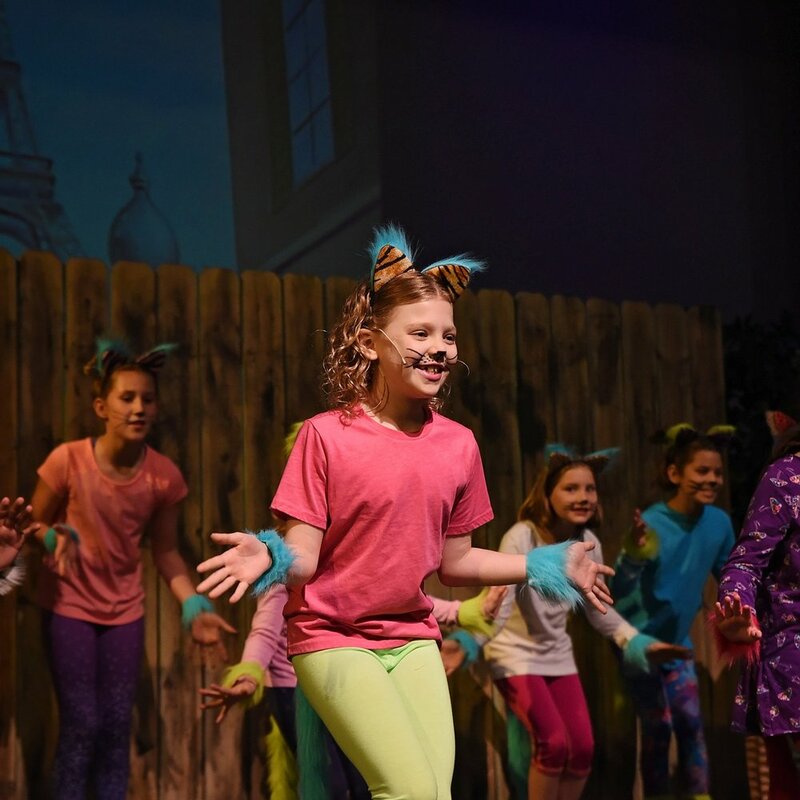 The cost to participate in a Children's Theater production is never more than $20 per child and camps and classes are very reasonably priced. The organization does not track the economic status of participants, and small fees are waived for families that request financial assistance. Scholarships are also offered for children to participate in summer programming. In the 2014-2015 season, VACT provided $1,400 in scholarships for shows and classes. For more information about scholarships CLICK HERE.